Born in Santurce, Puerto Rico from Panamanian Heritage, his music draws from a broad range of styles in the musical spectrum to form an eclectic, cohesive, unique and very infectious modern sound. Whether it’s House, Disco, Broken Beats, Techno, Bass Music or even hip-hop and down-tempo, it spews Soul with hints of other-worldly influences. Swapping between organic elements and electronics or even different motifs altogether he performs and produces under various aliases. His diverse approach to music, versatility and ability to understand his audiences has granted him the opportunity to collaborate and perform alongside many world-renowned artists across different genres. Rojas has been a staple in the Puerto Rican and South Floridian electronic music scenes since his career began in 97. As one of the founding members of Etihad Records hailing out of San Juan and Florida, he helped organize and performed in some of the earliest and most memorable electronic music festivals across Puerto Rico. He was also heavily involved in Miami's growing experimental and IDM scenes, working with labels such as Beta Bodega Coalition, Chocolate Industries, Merck, MTA, Dopamine, Metatronix, Counterflow and Schematic to perform and organize events in Miami and Puerto Rico. During his time performing under Red Sea he became a resident at the infamous Beatcamp nights in South Beach playing anything from Jungle, DnB, Electro, IDM, Detroit Techno, Downtempo while later gravitating towards 2step and broken beats. 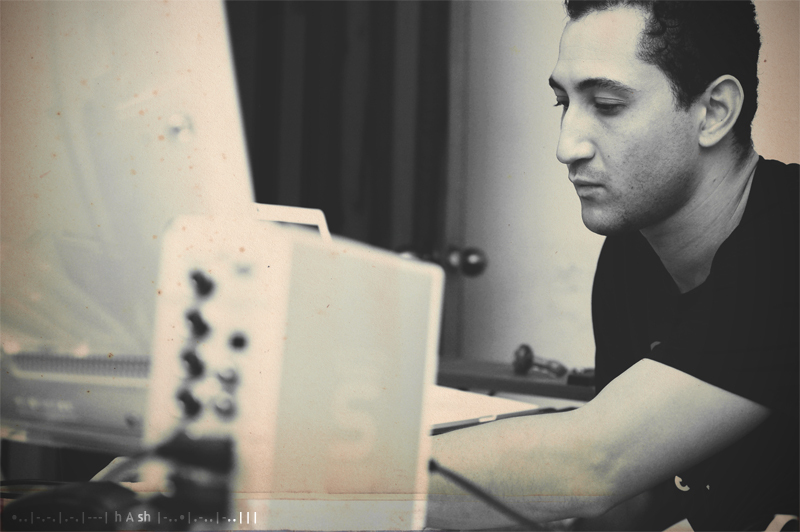 A move to London in 2001 to finish his Recording Arts studies in SAE landed him in the burgeoning broken beat movement. After vists to Velvet Rooms and later Plastic People attending such revolutionary nights as Coop and Forward, he founded Amalgama Records with Goya Music to showcase the sounds he was being exposed to in the clubs and like-minded artists. He began internships and freelance engineering at numerous studios throughout the city with many well-respected producers, among these were Bugz in the Attic, which greatly influenced his sound and in turn led to the West London/Puerto Rico connection that gave birth to a slew of tunes that caused a stir worldwide. He then came back to PR to work and produce while being a resident DJ at the famous Candela Bar continuing to champion his sound and hosting countless events. As a promotor with Amalgama he organized the first broken beat event in WMC and brought the Coop nights to Miami and PR. Apart from producing and remixing for various artists and labels while djing at the best clubs in the island and events abroad, In 2008 he launched Red Shield Records to showcase the sound of the islands underground and in 2010 he opened Red Shield Club that became THE destination for alternative underground indie music of San Juan. Red Shield Music Hall opened on 2011 which evolved from the old club with a larger venue to host larger events. His works can be heard in labels such as Bitasweet, Scthum, Ubiquity, Bagpak, Brownswood, Amalgama and Red Shield.